Skoda India is riding high on the success of the Fabia small car with overall sales already up by almost 50% year on year so far in calendar 2011. Skoda sold around 20,160 units in 2010; this year it has already passed sales of 24,500 units. 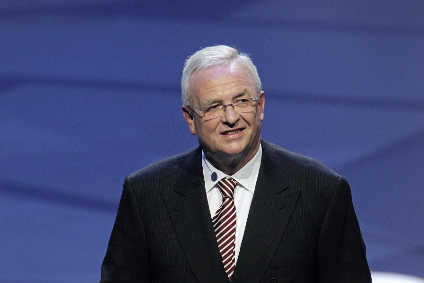 “We are hoping for a 30,000-plus sales figure in 2011,” said Tarun Jha, marketing chief of Skoda Auto India. The Fabia is leading the pack with more than half of the company’s sales. “We sold around 9,500 Fabias last year; we have already sold 14,000 units in 2011, recording over 60% growth year on year,” Jha said. Skoda is enjoying one of its best sales years since it entered the Indian market with the Octavia in 2001. It has, however, been suggested that the surge in sales is due mainly to the production halt at rival Maruti Suzuki's plants which were badly hit by a strike last month. Skoda India is readying another volume model which it plans to launch at January's Auto Expo. “There is an element of surprise, so wait a little more [for details],” Jha said. Meanwhile, Skoda has launched the C segment Rapid against rivals like the Honda City, Hyundai Verna, VW Vento and Ford Fiesta. It is manufactured at Chaken and is based on the Vento sedan - a Polo spinoff - also made in India. “Rapid fills the gap in our range in between the Fabia and Laura,” said Jha. Skoda has targeted sales of 2,000 units a month and may increase local build capacity depending on demand. The Rapid will also be launched in some European markets after India.